On behalf of the entire Lakeview PTA Executive Board, I would like to thank each one of you for every moment you have spent supporting one of our beloved family events, volunteering in classrooms, at the school, and at home, participating on various committees and supporting our fundraising efforts. 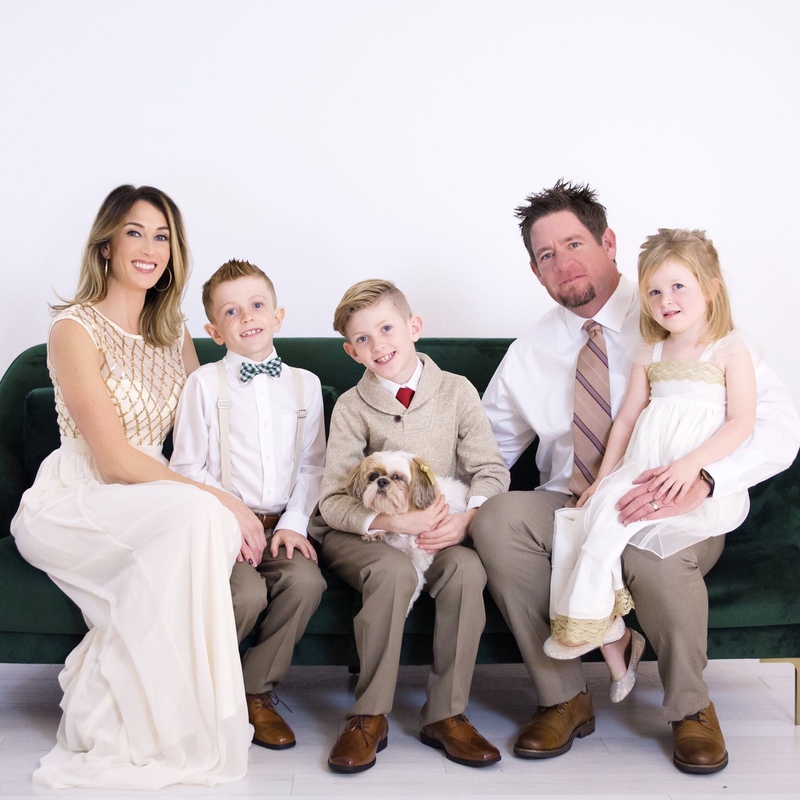 Everything we have accomplished this year is a result of YOU, individuals and families working together to create an incredible learning environment for our ‘Lil Bobcats. I would also like to extend a heartfelt “thank you” to everyone who has played a role in helping Lakeview achieve the School of Excellence designation. I cannot think of a better way to celebrate Lakeview’s 35 years of excellence than earning recognition as a National PTA School of Excellence. We are in the home stretch of completing our application, and I couldn’t be more excited about the opportunity to work on this initiative. Our Excellence Team comprised of parents, administrators, and teachers identified our Focus Area to be to “Ensure Health & Safety of Students” with an objective to “support students’ emotional and mental well-being.” At the next membership meeting on Tuesday, April 9, NISD Attorney, Christie Hobbs will educate us about the difference between Bullying & Conflict. This will be part of a month-long parent and student engagement series on kindness, friendship and positive relationships. Be on the lookout for more information coming your way in the next few days. It is also election time for the 2019-2020 Executive Board. Every year, the nominating committee has the enormous task of putting together a slate of prospective officers for the following year. Please plan to attend our next membership meeting on Tuesday, April 9, 2019 at 6:30 pm to vote in next year’s Executive Board. It has been an honor to serve as your PTA President this year! The 2019 Nominating committee makes the following recommendations for the 2019-2020 school year Lakeview PTA Executive Board Positions. Please join us on Tuesday, April 9th at 6:30 p.m. to vote in the 2019-2020 PTA Executive Board. The PTA is also seeking interested individuals to fill appointed Executive Board positions, Committee Chairs and Coordinators for the 2019/20 school year. If would like to volunteer, please reach out to Michaela Sims at michaela_jacobs@yahoo.com. Michaela will also be happy to answer any questions you may have about the positions. ﻿﻿You are invited to participate in the PTA hosted Science Fair and Program. If your child is interested in participating please register here. Participation is completely voluntary. Questions? Email Melinda Webb at melwebb2011@hotmail.com. Join us for breakfast in your honor! 7:00 a.m. - 7:40 a.m. Welcome class of 2032! Please join us on Tuesday, April 30th at 6 p.m. for an introduction to Kindergarten. Our Kindergarten teachers will share an informational presentation, and the Lakeview PTA will be available to answer any questions you may have. Be sure to visit the PTA table to receive your New Family Welcome packet. Registration Questions? Please call the front office at 817.215.0750. > Click here for a list of documents you will need to register. Registration opens April 15th. 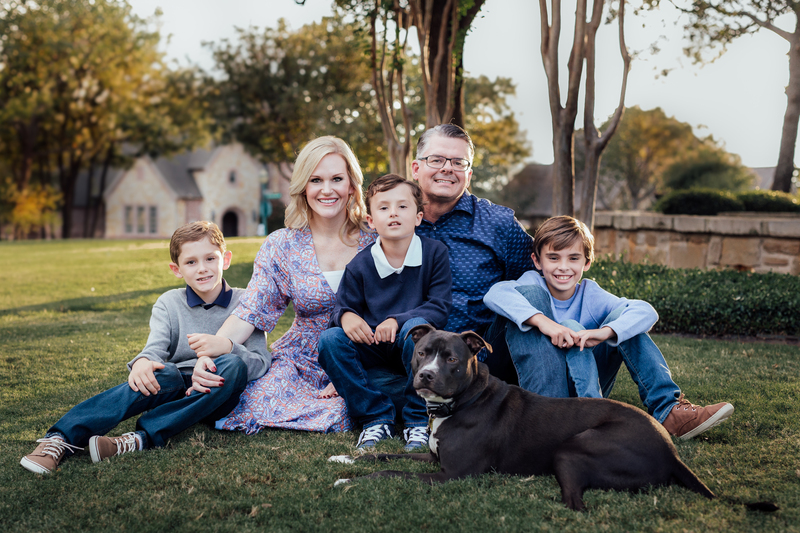 Do you know a new family coming into Lakeview? Let us know! We would love to connect with them over the summer. Please email our New Family Coordinator, Carrie Kuhn, at carrieleekuhn@gmail.com. You may also direct them to join our *Official* Facebook Page Lakeview PTA Trophy Club, TX page here. Our kiddos are staying active this spring semester with various programs being offered through the school. Parents please note that Coach Saettel concluded Fitness Gram Testing today for 3rd – 5th graders and will be sending reports home via email when complete. National Bike to School Day is just around the corner on May 8th! Get your wheels moving for this fun day to bike to school together as a community! Save the Date! We will celebrate all our fitness levels during our Annual Lakeview Field Day on May 24th. Details will be sent out in May! Please join us for the 20th Annual NISD Art Show on Tuesday, April 23 from 6:00-7:30 p.m. at the NISD Administration Building located at 2001 Texan Drive in Justin. Everyone is welcome to attend! Students will be notified individually if their work is chosen for display. 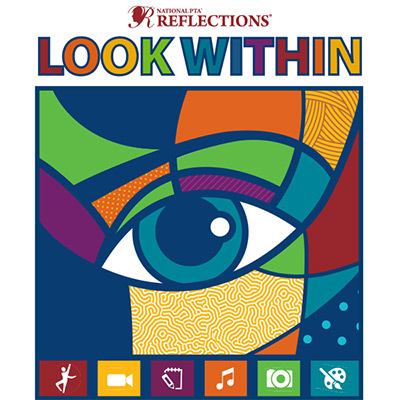 National PTA is pleased to announce the 2019/2020 Reflections theme titled "Look Within." Students are encouraged to start creating their masterpieces for next school year's deadline in early November 2019. The 2018-2019 Lakeview Elementary PTA Alumni Scholarship Committee received several high school applicants this year. The Committee will announce the winner of the 2018-19 Lakeview PTA Scholarship at the next Membership meeting on May 14th! Congratulations to Sabrina Johnson and Heather Hancock for being our Lakeview Volunteers of the Month! We really appreciate all of your countless hours helping up at Lakeview! Thank you so much ladies for your dedication! Fun Facts: I moved to Trophy Club 9 years ago, by default, and fell in love with this place! My favorite pass time is playing kickball and sewing! Hobbies/Interests: I enjoy spending time with my family, exercising, reading, and volunteering in my community. I'm also a big Dallas Stars fan! Fun Fact: I'm the secretary of the new Rotary Club that was just formed in Trophy Club. We are looking forward to getting out in our community and making a positive impact. Limited quantities of the yearbook are still on sale! Order yours today before the price goes up! We are proud to announce that student donations for the 2018 Bobcat Dash exceeded $40,000! This year your generosity will allow the PTA to purchase 20 stools for the school flex space, classroom subscriptions for No Red Ink, RAZ Kids and Pebble Go, PLUS the installation of several Water Bottle Filling Stations throughout the school! 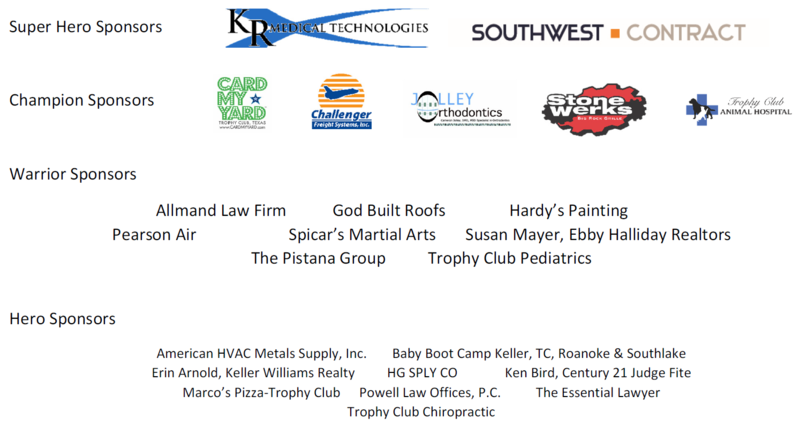 Please consider supporting our local businesses who generously sponsored the 2018 Bobcat Dash. Turn in your Box Tops anytime to our collection container in the Library. Names will be drawn at the end of each 6 week grading period from the collection container. Put up to 50 Box Tops in a bag with your child’s and teacher’s name on it. Please make sure your Box Tops are not expired and edges are trimmed. If you have more than 50, then create another bag for more chances to win. Our next drawing for Box Tops winners will be on Friday, April 12th and May 24th. Prizes for the winners will include gift cards to Chick-fil-A, Yumilicious, 32 Below, and Cinemark. To Support Lakeview when you shop on Amazon, be sure you’re shopping on AmazonSmile! Simply go to https://org.amazon.com and search for Lakeview PTA-Trophy Club, Tx. Amazon will donate 0.5% of the price of eligible AmazonSmile purchases to Lakeview. This only works when you specifically shop on smile.amazon.com. Any purchases made on regular Amazon are not eligible, so be sure to bookmark the AmazonSmile page on your browser! Last year our wonderful Lakeview volunteers dedicated over 13,000 hours of volunteer service! Be sure to log your volunteer hours for this school year by April 30th! >Click here to log hours. Save the Date: The Lakeview Staff will recognize all our wonderful volunteers on Friday, May 24th at the Volunteer Breakfast. Official invitation will be emailed home next month.